This sounds strange, surely it is why swimmers train? In the same way that schools run tests and exams throughout the year, coaches need to measure swimmer’s progress in the techniques they are learning and develop their experience of swimming events for when it matters. It is also a good way for swimmer’s bodies to get used to swimming fast and getting into an annual competition routine. These are competitions where the club swims against other clubs. They can be one off galas or part of a league competition. In either case they are similarly organised. Coaches select and advertise the group of swimmers who will represent the club (please note that not all swimmers are selected for these as there are limited places). An invite will be emailed to the selected swimmers several weeks before the date of the gala. Parents need to confirm availability as soon as possible and no later than the deadline given on the invite. League competition relies on the selected swimmers attending, if you are picked for the first round check dates of other rounds and put them in your diary these will always be advertised on the club website, home page “Events”. There is an expectation that swimmers will attend, but in exceptional circumstances where they can’t please let he fixture secretary or the coach know why ASAP! Swimmers swim in the same lane in events selected by the team coach. The galas are usually a mixture of individual swims and relays. Times recorded in team galas do not count as PB’s/QT’s for the purpose of entering other swimming competitions. These are an opportunity to record times across a large range of events. There are very few times this can be achieved throughout a year, so it is important for swimmers to compete in all the events available for their squad/age (unless coaches advise otherwise). There are medals and trophies for this competition. It is swum over several different days, usually at weekends (please try to keep the dates free in your diary as the times from this are needed to compete during the rest of the season). Entry will be inline via the club website once you have registered a payment card via your memberships account. There is a deadline for entries to enable the club to organize the programme of events, but you do not need to have previously recorded a time for any of the events. What is long course and short course and how do I work out times for each? Swimmers usually train in a short course pools which is a pool that measures 25m in length but due to the recent squad changes every main pool squad has 50m pool training time on a weekly basis. It is important for swimmers to gain experience of both so the club selects meets that take place in both long course and short course pools throughout the year and across the range of abilities within competing squads. You may need to convert times from one pool length to another. This is because there are more turns in short course pools so as a rule swim times are faster. You can convert times using “pullbouy” time conversion online or accessing via the club website under “rankings” tab on the main menu. What time should swimmers arrive at a competition or club gala? For team galas when there is no coach transport swimmers are expected to be present at the swimming pool where the competition is being held half an hour before warm up. For all other meets and competitions swimmers must be changed and on poolside a minimum of 20 minutes before the first advertised warm up for that session (there are usually different warm ups for boys/girls/different age groups). This is very important because swimmers need to do pre-pool mobility and warm up, this is when swimmers are required to have a skipping rope to increase heart rate prior to mobilising. Where times are needed for a competition if a swimmer doesn’t achieve them then they are not ready for that competition or event yet. There are many more important things than swimmer’s times – and at some meets coaches may be working on other aspects of a swimmer’s technique than simply their speed. Also, there are stages of a young person’s natural development which may cause them to “plateau” (i.e. not swim regular PB’s). Coaches are trained to deal with this. For parents and swimmers, it is important to focus on skill development and execution of skill and not swim times or how quick your friends are swimming. What should my child eat before, after, at training and at competition? A Healthy diet will help you train harder, perform better, recover faster, reduce your chances of illness and help gain a competitive edge. Fuel Up: Eat a meal 2-3 hours (where possible) before training (carb + protein + fat low GI). Hydrate properly: drink 200-300ml 2 hours before swimming. · Jacket potato with cheese, tuna or baked beans plus veg. · Pasta with tomato-based sauce or pesto, cheese, tuna or chicken plus veg. · Rice with Chicken, fish or beans plus veg. · Sandwich / toast with tuna, cheese, chicken or peanut butter. · One pot dish with pulses, veg, lean meat or fish plus potatoes. If you don’t have enough time for a meal before training (i.e. morning training) have a snack 20-30 mins before training with 200-300ml water. You should never train on empty. · Toast (wholegrain) with honey or jam. · Banana (or other fresh fruit). · Handful of dried fruit (i.e. raisins). · Porridge or wholegrain breakfast cereal with milk. · Drink around 500ml per hour. · Drink little and often. For training sessions lasting longer than 1 hour, swimmers may find that consuming additional fuel (drink or food) helps maintain performance and delays fatigue. · Squash regular or high juice diluted 1 to 6. These foods should be accompanied by a drink of water. Avoid the following during training as they are too concentrated in sugars and lack nutrition. The above should only be consumed with in 20 minutes prior to racing. After training a swimmers priority should be to refuel and rehydrate replenishing depleted muscle glycogen and restoring normal electrolyte levels. The faster you can get food and water the quicker the recovery process will start enabling you to train or compete sooner. Working Muscles are sponges after a training session muscles are like a damp sponge that has had all the glycogen squeezed out of it. If you quickly place a sponge in water it will soak up the water until full, in the same way your muscles soak up glycogen to rebuild energy stores. If you leave a sponge to dry out it becomes less efficient at soaking up water. When water is available the sponge will eventually soak up the water it will just take longer. The same is true of your muscles the quicker you get carbohydrate into your body the quicker you will recover. Milk shakes or milk is proven to aid recovery time if consumed with in 20 minutes of training. Refuel: Carb and Protein within 30 minutes. · 500ml milk, milk shake or flavoured milk. · 2 X 150g pots of fruit yoghurt. · One cereal bar + one pot of yoghurt. · Wholemeal sandwich or toast with peanut butter or cheese. · Plan and organise your eating around each session and the races you are doing. · Only eat light meals. 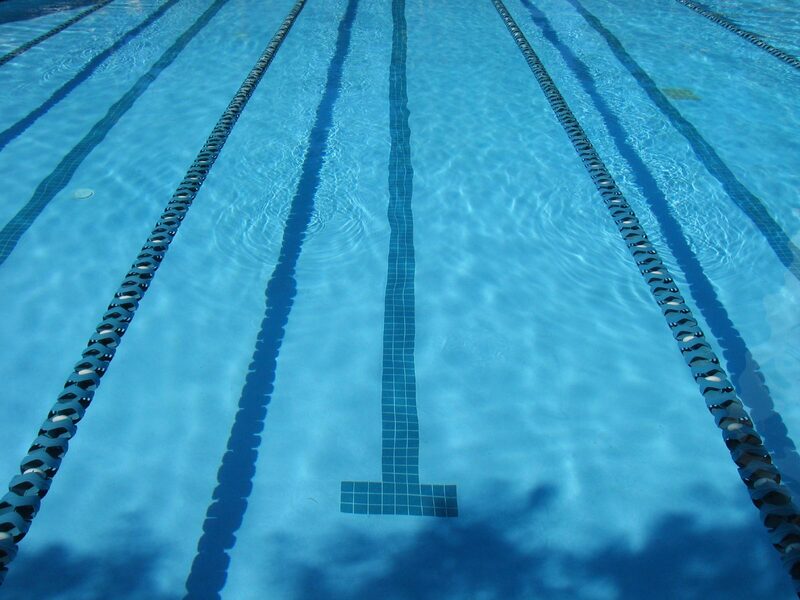 · Re-hydrate immediately after swimming (warm up and racing). · 2 hours before the start of the first warm up have a carb + protein meal. · Avoid snacking on sweets and jelly cubes, consume these within 20 minutes of your race. · After you have swum refuel with light snack. · Never leave long gaps without re-hydrating or re-fuelling. · Small quantity of pasta with, chicken, tuna, cheese, and any veg. · Half a sandwich on wholegrain bread with, jam, peanut butter, cheese, tuna, chicken. Should a swimmer miss training if they are competing that day or weekend? Swimmers should always train the day before and after a gala unless their squad coach advises not to. This will only usually occur prior to major competition such as Middlesex Counties or a target open meet where swimmers are looking for qualifying times. Swimmers should always train the day before and the day of club and league galas. Who is my child competing against? It might seem a silly question – but – it depends on the rules of each competition. In galas they are racing the swimmers in the lanes next to them. In other competitions they are competing against swimmers in their age group or age band, and these may not be the swimmers in the heat (i.e. lanes next to them) that they are in. If they qualify for a final, then they are swimming against the swimmers next to them in the final. What do swimmers need at competition? As a swimming parent you can play a crucial role in building self-confidence your child, both in the pool setting and in wider life. The effect of building self-confidence in your kids will have a huge impact on their swimming performance. A confident athlete is usually a better athlete. Swimmers who believe in their ability will be able to conquer any feelings of fear and self-doubt, and will find it easier to focus on their own performance. Your support and encouragement is key in developing their confidence, so any chance you get to demonstrate your support should be taken. Your child will feel you will always have their back no matter what happens, helping boost confidence in performance. Try to avoid criticism, and make sure any feedback you give your child is constructive. Whether your child is a swimming superstar or not, there will always be something positive that you can comment on. Ensure your expectations are realistic and are in line with your child’s capabilities. If you set the bar too high, your child will think they are failing, which can cause problems with their confidence and self-esteem. Make sure that your child’s focus is on doing their best, rather than being the best. If their focus is towards the win, they may swim a terrific race, with a personal best time, but come third and be disheartened. Encourage them to focus on their own performance, and if that happens to include a win as a result, bonus! Try to make sure that your child understands that training, competing, winning and losing are all part of the swimming journey. Your child can learn from winning, but equally will learn from losing too. If they understand and embrace this, they will become more confident and less affected by the lows of a bad performance or a loss. Encourage never giving up. Even the best athletes have the occasional bad race or make mistakes from time to time, but because they have self-confidence and faith in their ability, they stick with it and believe they can do it. Visualisation is a technique used by many of sporting’s elite, following evidence showing that it is important to train not only the body, but also the mind. It is about creating a mental image of what you want to happen or feel in reality and practise ‘visualising’ it in your mind’s eye. Visualising yourself winning will make it more likely to happen, the theory goes. As a parent of a swimmer, it is useful to have an understanding of why visualisation is key and how you can help your child to build visualisation in to their training programme. Here are our steps to visualising. Next step is to close the eyes and create the image. This could be creating a winning experience or going through the routine of a successful race where a PB is achieved. The subject of visualisation depends on the required outcome. Encourage your child to make the image as detailed as possible. Tell them to think about sights, sounds, feelings, smells and tastes, to make sure all of the senses are aligned to the image and it’s a real as possible. They need to think about what are they wearing, what can they hear, and how they feel. Detail is vital. If they get distracted, or the image doesn’t go the way they want, they can open their eyes, take some deep breaths and restart the process. It may take some practise to develop the focus and skills that visualisation requires. It’s completely normal to become emotional when supporting your child at swimming events. It shows you care, are involved in their life, and keen to share the pressure with them as they compete. But when supporting your child at swimming events it’s important to be calm and supportive, rather than turning in to an overbearing “balcony ogre” once your child hits the water. We know the pool balcony can be a stressful area. Hundreds of parents all desperate to communicate with their child mixed with the stifling sauna-like atmosphere of the pool. It’s not easy to keep calm. However, no matter what happens, or how tense things get, it’s important that you maintain discipline, poise, confidence and control. Your kids will thank you for it and it’ll help them perform better. Ask your child how they would like you to be. While few kids like a balcony ogre barking negative comments, they may want you in the front row of the balcony, whooping and cheering for them as they line up to race. On the other hand, they may find it a bit off-putting and anxiety inducing and would rather you remained calm and quiet. So, tip one is ask first. Try to remember that although you’re sat within a crowd, your actions and words will still be noticed, most of all by your child. Think before you shout, and keep your body language, actions and your words positive. If you’re starting to feel any frustration, try taking slow, deep breaths to keep calm. If something’s gone particularly badly, try counting down from 100 in your head, to give you time to form a rational response. Try not to get sucked in to competing with other parents. Everyone wants their child to be the best – it’s natural. However, it’s your child’s sport, so try to just enjoy watching and be supportive. Leave the competitiveness to them. If you need to compete, join a Masters club and compete in the pool. If you’re feeling particularly annoyed with your child’s performance or are struggling to keep your cool on the balcony, try adopting relaxation skills. Imagine a relaxing scene, repeating a calming phrase, or putting some headphones in with some chilled music on may all help you to keep relaxed. Try some visualisation exercises before the race. The Management committee, governing Staines Swimming Club, consists of an Executive Committee comprising a Chairman, Secretary and Treasurer and other members. The Management committee meets on a monthly basis, usually the second Tuesday of the month. The club is run as a not for profit organisation. The training/teaching fees are combined and divided into 12 monthly payments, which should be made by standing order before the 7th of each month. The club are currently moving to a direct debit scheme and all new members will be asked to enrol using direct debit for payments. In addition, all members must pay an annual A.S.A. and memberships fee to the Club who, in turn, register the swimmer with the A.S.A. This is collected annually in January of each year. Members are expected to meet all open, championship and other competition fees. The club contributes to team entries for the appropriate galas. Have a look at the relevant squad pages to see the fees for each group. Club colours are black and white with the Staines logo of a swan. Hats, Hoodies, t-shirts, polo shirts, onesies, shorts and land training kit are available to buy from the club shop. See the club shop tab on the top menu. Swimmers should have fins, zoomers, kick board, pull buoy, bands and paddles according to which group they train with and these are available as new or can easily be picked up second hand. Please speak to your coach if you are unsure about which equipment you will need. E-mail is the main communication channel, we send notifications, announcements, forms, etc. to the email address/es provided during registration to the club. These can be updated by accessing your team unify account via this website. This website is also a focal point for communication, notices and news are located in the home page for quick access. There is also a club facebook page, Twitter account and Instagram account. An appointed social secretary organises events, including an annual awards evening. There is an annual Awards evening each January where swimmers and parents are encouraged to come and socialise together and celebrate the achievements of all of the swimmers.